The best case and worst case scenarios for Michigan's 2016 season. I'm going to make the 2016 best case version very simple. In the best case, Michigan runs the table, wins the Big Ten title game, makes it to the CFB playoff where surely they'd win both games en route to their 12th national championship. Parades...trophies...basking in the glow of defeating both of your conference rivals in the same season for the first time in 13 years...all that glorious stuff. This is Michigan. While we reserve the right to flaunt an arrogance unknown to mankind...when it comes to preseason confidence, despite overwhelming evidence that things are going to be pretty darn good...Michigan fans just don't have it. We're not wired that way. The last time Michigan was ranked this high in the preseason AP poll was in 2007. I rest my case. So...how about that worst case? Like it or not, Michigan State is not going to fade back into their pre-2008 oblivion any time soon. They have a lot of holes to fill on both sides of the ball, but they've responded well to similar situations in the past, and with Dantonio at the helm, I'd never count the Spartans out. Ohio State is in a worse position with only 6 starters returning and a decidedly tougher schedule. But again, if it were anywhere other than Columbus, that would be a big problem. Preseason rankings and experts insist that Ohio State doesn't rebuild, they just reload. And while by-in-large that's probably true, being able to reload at 16 positions is a tall order. In recent years, a worst case scenario would've probably meant a sub-.500 record, missing a bowl and definitely losing to both Michigan State and Ohio State. Those days are over. I'll admit that a 2016 worst case probably still includes losses to those two schools, and probably one or two more, but the doom and gloom of the Brady Hoke years (see: 2014), is thankfully well in the rear view. 9-3 or 8-4 is likely the worst case for 2016 Michigan unless injuries really start to mount. Iowa could be a loss...so could Wisconsin. So what's really going to happen? Let me just say that I really have no idea. I'm horrible at preseason predictions. You can look at the strengths of this Michigan team...defense, coaching, receivers, offensive line...and see the foundation of a championship-caliber team. But running the table, especially with a handful of daunting road games, will take not only great skill but some luck as well. The quarterback battle is just that...a battle. 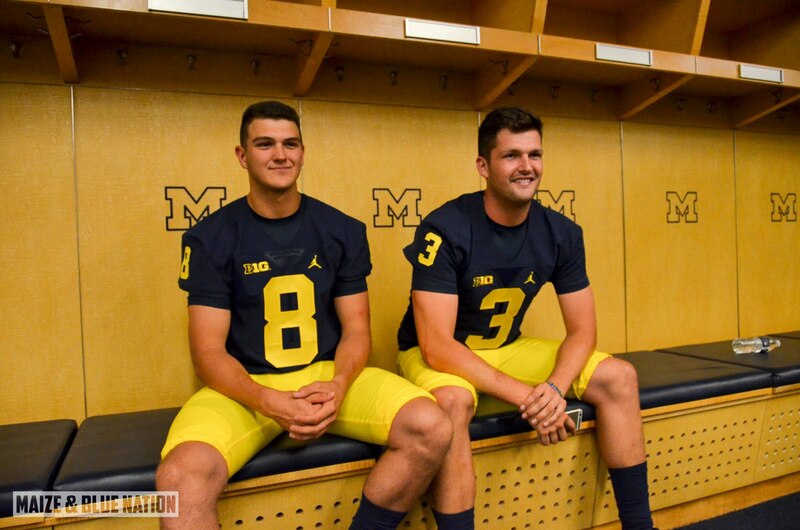 Unlike a year ago, I'm hearing neither Wilton Speight nor John O'Korn have established themselves as the starter yet. Speight has been more consistent, but O'Korn is said to have the higher ceiling. One thing we know for sure, Michigan will not be running a two-QB system...one of these guys will be the guy before Hawaii on September 3rd. Michigan must get better at creating turnovers. Their defense could be one of the greatest Michigan has ever had...which is really saying something...but generating turnovers has been something Michigan has really struggled with in recent years. Jabrill Peppers and the entire defensive line will be difference makers in each game for sure. My gut tells me we're going to flashes of brilliance this season from both sides of the ball. The schedule sets up nicely for a very strong start...most likely being 7-0 when they travel to East Lansing on October 29th. From there on in, it's up to Michigan's preparation, confidence and of course the injury gods.